After Part I of such uplifting stories abroad, don't you want to see how travelers can get even worse? Here are some of the worst behaviors I've witnesses in my travels. What's some of the worst travel behavior you've witnessed? Over the next two blog entries, I'll be breaking down ten examples of despicable behavior abroad. Need Advice on Living Abroad? Thinking of teaching English in Japan? Volunteering in Thailand? Backpacking around New Zealand? 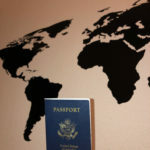 If you're looking for some insider tips on the places to go and the people to meet, check out my consulting services. If you just have a few questions, no worries: email me. Copyright © 2019 Once A Traveler. All Rights Reserved.